Picture this, you wake up one day and realize that you’re not able to use your hands the way you usually do. You’re not able to do the activities you used to do easily with your hands anymore like you’re having difficulty lifting or carrying anything that weighs more than 10 pounds. You start to notice some bony knobs on your finger joints and you realize that you’re having difficulty opening that cookie jar as you can’t get a good grip on the jar. Scary huh? You even feel a bit of numbness in your fingers and you notice that they’re actually swollen and red. Even the simple act of typing on your computer keyboard can cause discomfort. The kind of weakness caused by arthritis of the hands can make the simple everyday tasks seem hard. Welcome to the world of hand arthritis, also known as rheumatoid arthritis. The two terms can be used interchangeably. Generally, arthritis is when any area of your body where two different bones meet (joint) is inflamed. So, when your joints get inflamed, the next thing that is bound to happen is that you will start to feel joint pain in the affected area. More than likely, you know of at least one person who has arthritis. It’s quite a common condition. Or even, you probably have it. It’s common, yes, but not quite well understood. There are different types. 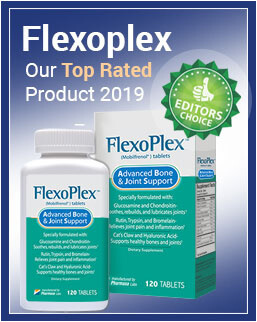 The pain you get from pain may not be frequent but it may cause reduced motion in your affected joint, some deformity and even in terms of function. Arthritis affects almost any joint in your body but it mostly affects your hand and wrist. 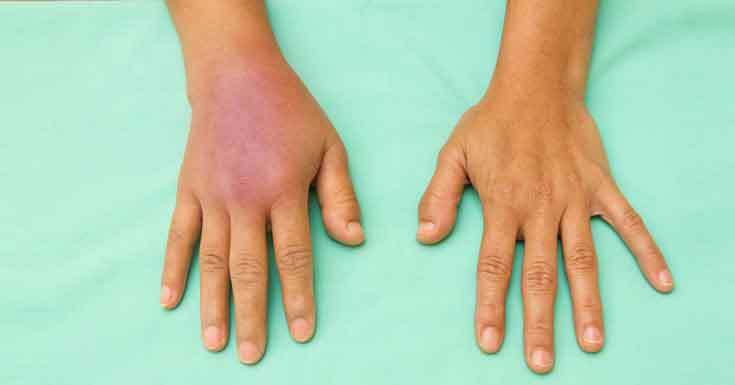 So, hand arthritis which is also known as rheumatoid arthritis is a disorder that affects the joints in your hands. What Does Arthritis In Hands Feel Like? Let’s have a look at some symptoms of hand arthritis that you can be on the look out for. You may feel a burning pain in your hand joints, especially after long periods of joint use. Your fingers will also stiffen up, mostly in the morning. You may not be able to do activities that were once easy like opening jars. Such activities become difficult because of the pain. The affected joint will swell slightly. That’s the body’s way of preventing any further use of that joint. Your body’s inflammatory response may cause your arthritic joint to feel warm to the touch. As the hand arthritis progresses, motion is lost in the affected joint. Small mucous cysts may develop when arthritis affects the end joints of your fingers. 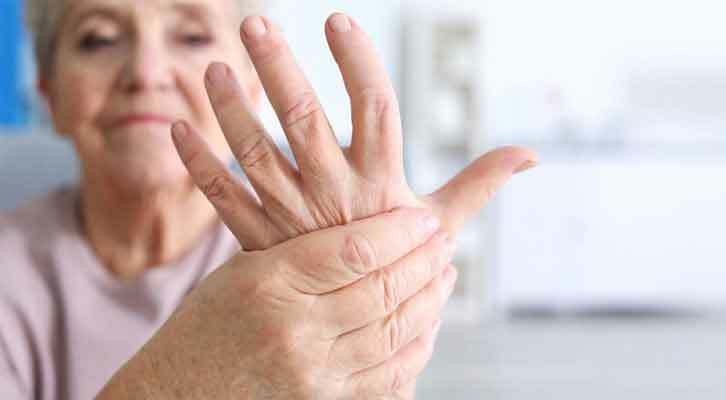 What Causes Arthritis In The Hand? Family Genetics – In case you have an immediate family member with arthritis of the hand, then you may actually be at risk. Occupation – If your day to day work involves repetitive physical movements for long periods of time, you may be at risk. Sports-related injury – You may develop arthritis of the hand if you sustain a joint injury during high-impact sports activities. How Is Hand Arthritis Diagnosed? 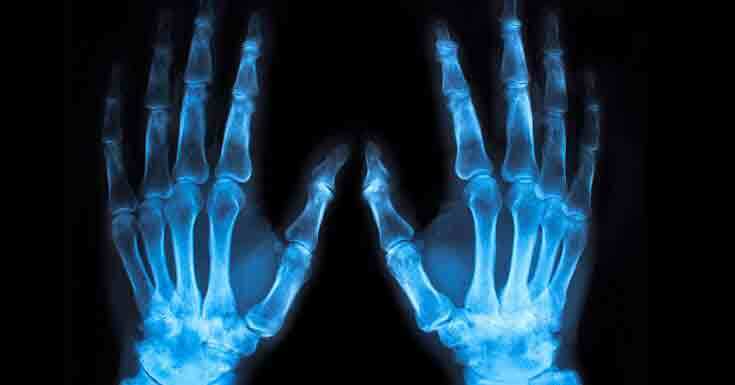 A doctor can check for arthritis of the hand by simply examining your hand and taking x-rays. Arthritis gradually worsens over a long period of time. When you don’t get it properly treated, serious complications can develop. According to an article posted on the Mayo Clinic website around 40% of the people who have hand/rheumatoid arthritis also experience signs and symptoms that don’t involve the joints like, your skin, eyes, lungs, heart, kidneys, salivary glands among others. Here are some of the complications that can occur as a result of hand arthritis. Effects on the skin – You may get rashes on your skin, blisters and also lumps of tissue that have inflamed under the nodules of your skin. This is because your skin is affected by the same immune response that is attacking your joints. Effects on the lungs – When you’ve experienced long-term inflammation due to the hand arthritis, scar tissue forms over time, which can cause problems with breathing. Effects on the kidneys – According to research, people with hand arthritis have about a 25% chance of developing kidney disease. Scientists have tried to explain the science behind this link in mainly two ways, that is, your kidneys end up being affected because of the inflammation and medications you take to relieve the condition as well as other factors that may contribute to the same. Chronic pain & deformity – The chronic pain and stiffness in the hand joints may prevent you from doing your day to day activities. You may find that you are not able to do simple tasks that you would usually do without even thinking about them. In some cases, the frozen joints may cause permanent disability and deformity. Your joints may shift out of place over time. So, now that you know some of the complications you are exposed to if you have hand arthritis, the next thing you’d want to know is, is it treatable? Well, you can breathe a sigh of relief because the good news is that it is treatable! Here’s how. You can get some relief from over-the-counter pain medication like ibuprofen. If it’s severe, you will need to get a stronger prescription. You may also get injections of anti-inflammatory medicines from your doctor in case the oral drugs don’t work. 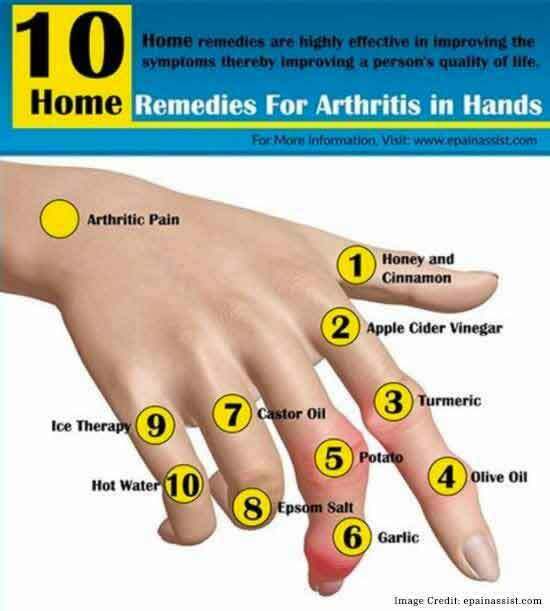 When your fingers are stiff and achy, you won’t be able to do much of your daily routines. Well, not to worry, there are some simple exercises like bending your knuckles, forming a fist with your fingers and walking your fingers up and down a wall, that you can do several times every day that will help maintain your hands flexibility. A healthy diet is recommended by The Arthritis Foundation. When you’re overweight you put more pressure on your joints which will, in turn, increase your symptoms. Include a lot of fresh fruits and also dark colored vegetables which contain anti-inflammatory agents that can control inflammation. If your hand arthritis doesn’t respond to diet, medications and lifestyle changes, surgical treatment is the other option. This involves reconstructing the joints. Hand Arthritis Prevention: What Can You Do? Control Your Diabetes – It’s important that you know that diabetes can also trigger inflammation which in turn causes cartilage loss. So, if you have diabetes, you need to control your blood sugar as it will reduce your risk. Exercise – Exercise is important at least five times in a week. Exercises will help your joints maintain their flexibility. Especially hand exercises, as they will strengthen the muscles that support your hand joints. Avoid Joint Injuries – You should try and avoid any injury to your hands while you’re exercising or playing. If you get any fractures or even ligament tears, you increase your risk of hand arthritis. Occupation – Any kind of work that requires you to make the same motions day after day puts you at a risk for hand arthritis. If you can, avoid occupations that put you at risk. Teachers, construction workers, professional athletes, textile workers, and dancers are examples of people who are at risk. So, if your work meets this criterion, you can take measures like exercise to avoid being at risk. If you have hand arthritis, it’s not the end of the world! There are things that you can do to help improve your quality of life. You can get physically active, but avoid physical activities that may cause injury. It’s recommended that if you are an adult, you should try and engage in 30minutes 5 days a week of moderate activity. Activities like swimming, walking or even biking will do. You can also join a self-management education class which exists to help people with the condition. You will learn a lot. Finally, in case you are overweight, losing some weight wouldn’t be such a bad idea, as losing weight will reduce the pressure on your joints. Also, maintaining a healthy weight can help relieve pain. On the other hand, if you don’t suffer from this condition but maybe you are exposed to the condition by the kind of job you do, you can prevent yourself from getting it by taking the necessary preventative measures.